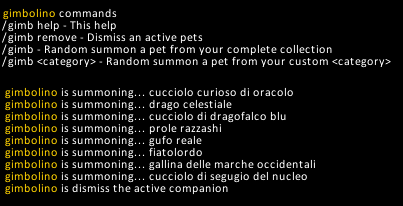 - Summon a random pet from a custom category defined by the user. -- btn:1 for the full random. * Change the "pets" name to "MyPets_gimb" to prevent problem with other addons.